Medium-Brown color. Attractive, fruity, floral aromas and flavors of toffee, peach custard, and apple pie with a chewy, vibrant, finely carbonated, fruity sweet medium-full body and a warming, complex, long finish with touches of vanilla cola, peppered citrus and greens, and spices finish. A bold, barrel-aged ale with lots of sassy, spicy hops. Bottom Line: A bold, barrel-aged ale with lots of sassy, spicy hops. The category of barrel-aged beer represents a diverse range of ale and lager styles that have been aged in non-neutral wood. These beers commonly range between 7.5-10% in alcohol with further variations depending on the interpretation of the style. These beers are characterized by both wood-influenced flavors (vanillia, caramel, toast, coconut) and secondary flavors of the alcohol previously aged in the wood (bourbon, scotch whisky, sherry). The overall character of the final beer may also included acetic, lactic or Brettanomyces flavors and aromas resultant of the barrel. 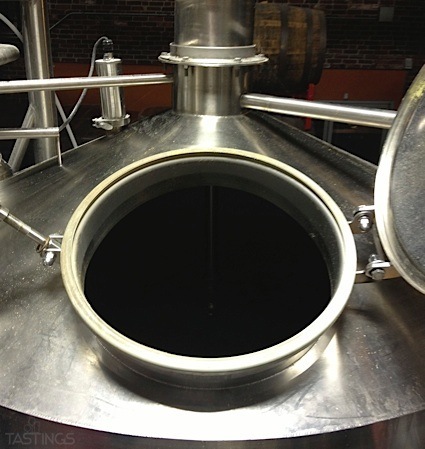 A wide variety of base beer styles may be barrel-aged for an additional level of complexity, although barrel-aged versions of darker or more alcoholic styles are among the more common examples. Noteworthy examples of this style include: Goose Island Bourbon County Stout, Alltech Kentucky Bourbon Barrel Ale and Grand Rapids The Mound Maker. Full Sail Brewing Co. 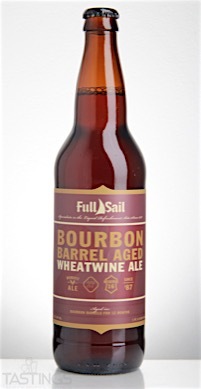 Bourbon Barrel Aged Wheatwine Ale rating was calculated by tastings.com to be 94 points out of 100 on 11/4/2016. Please note that MSRP may have changed since the date of our review.